Dr. Rossi interviews St. Vladimir's Seminary graduate Tracy Gustilo about the way the Fathers weave together the Garden of Eden and the Garden of Gethsemane. In this episode, Dr. Rossi interviews St. Vladimir's student Tracy Gustilo about St. Irenaeus. Archpriest Chad Hatfield, the Chancellor of St. Vladimir's Seminary, delivers the homily at the school's Great and Holy Friday service. Part 3 of the teachings from Genesis as a section in the larger series on Darwin and Christianity. 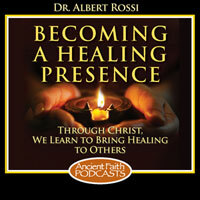 Dr. Rossi shares his thoughts on the meaning and purpose of the trees in the Garden of Eden for us today.